Delmar- Odell Horne, Sr, 91, beloved husband of Nettie (Jones) Horne, passed away on Tuesday, September 11, 2018. A home going celebration will be held on Monday, September 17, 2018 at 1pm at New Comer Cremations & Funerals, 181 Troy Schenectady Road, Watervliet, 12189, where a calling hour will held prior starting at 12noon. Burial will follow at Memory Gardens, Albany. 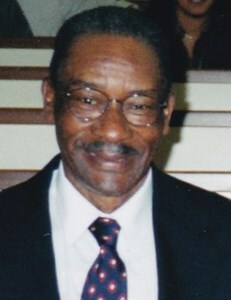 Add your memories to the guest book of Odell Horne, Sr..
Odell was a neighborhood ambassador. He always had a kind word and a smile for everyone. We will miss seeing him on his daily walks. We extend our deepest sympathy to family and friends. Odell was a true gentleman. I will miss seeing and talking to him on our walks in the neighborhood. He was a great man and friend. My condolences to his wife and family.